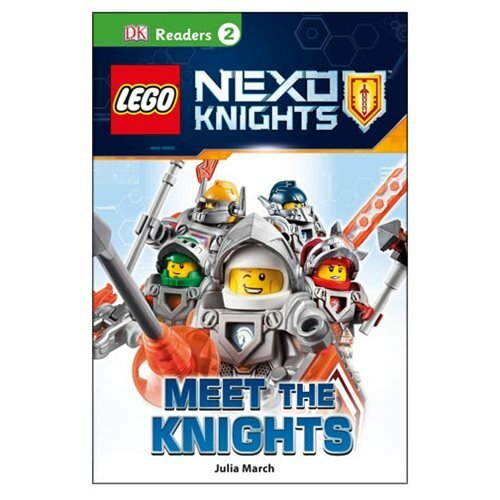 Learn to read with the LEGO Nexo Knights: Meet the Knights DK Readers 2 Hardcover Book. Meet a group of brave knights as they embark on an epic adventure to stop a villainous jester and his band of monsters from taking over the kingdom. Learn about the exciting realm of Knighton and what it takes to graduate from Knights' Academy, go on thrilling quests, and engage in heroic battles against beastly, magical monsters. The LEGO Nexo Knights: Meet the Knights Hardcover Book is a fun read for your little LEGO Nexo Knights fans! This 48 page book measures about 9 3/10-inches tall x 6 1/5-inches wide.